The 20th Annual Newport Beach Film Festival (NBFF) has issued a call for entries for Irish Cinema. Running from April 25 - May 2, 2019, the NBFF will celebrate its 20th Anniversary with a special Irish Spotlight to take place on Sunday, April 28th. The Festival features 55,000+ attendees, red carpet premieres, nightly galas, filmmaker Q&A sessions, and engaging networking opportunities. The Newport Beach Film Festival is seen as the largest celebration of Irish Cinema on the West Coast with highlights for this year’s festival including an Irish Spotlight event, IFTA accreditation, screenings of Irish feature-length narrative, documentary, short and animated films, along with the participation of Irish filmmakers, actors, musical performers, culinary brands and film industry organizations. 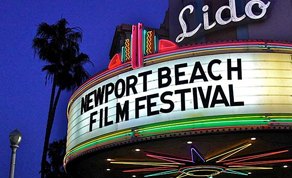 The Newport Beach Film Festival has over a decade-long history of screening notable Irish films such as 'The Secret Scripture', 'A Date for Mad Mary', 'Tomato Red', 'Sanctuary', 'Moon Dogs', 'Cardboard Gangsters', 'Song’s for Amy', 'My Name is Emily', 'Life’s A Breeze', 'The O’Brien’s', ‘The Drummer & the Keeper’ and ‘Michael Inside’. The 2019 Newport Beach Film Festival Submissions deadline for the UK & Ireland is Friday, February 22nd. Irish film submissions must be sent using the Newport Beach Film Festival website. Qualifying film entries must have a completion date of Feb. 22th, 2018 or later. Film entries must not be available via internet or broadcast nationally via cable or satellite television in the U.S. prior to the Festival screening in order to be eligible.